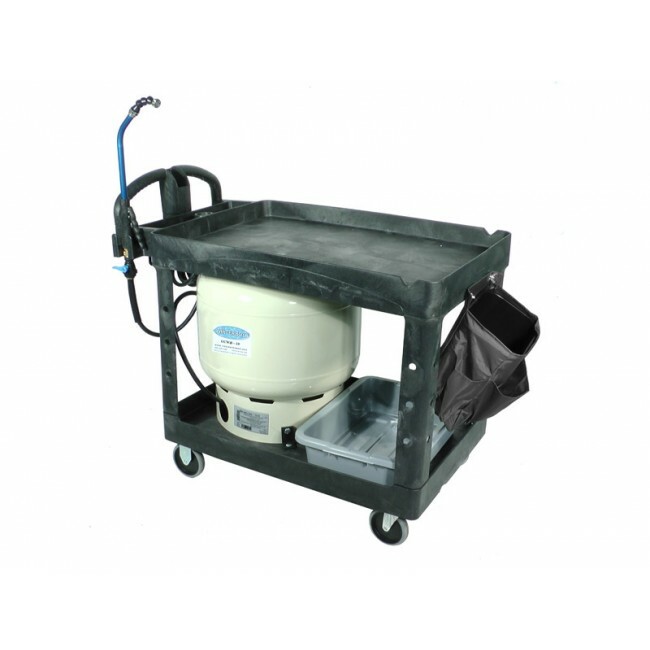 Reduce hand watering labor costs by up to 66% with the Waterboy Floral Care Station. This portable watering station was designed with interiorscapers in mind and comes in three tank sizes. Waterboy significantly improves safety by reducing accidents due to open bucket water spills and dragging hoses in high traffic areas. IMPORTANT NOTE: WaterBoy Units should ONLY be used with cold to temped water. These watering machines must be EMPTIED prior to vehicle transportation. The tanks must cool to room temperature prior to being transported in hot vehicles. Wands should be drained of water when not in use to prevent damage. Failure to follow these important notes may cause damage to the rubber diaphragm of the tank or cracking of the wand and will void the warranty.